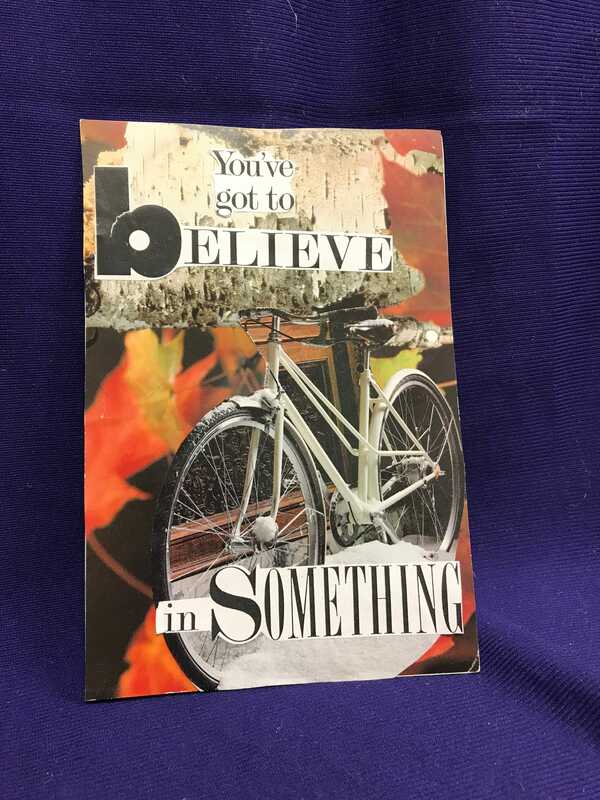 Bring the Joy is a monthly donation program. We realized that people who support Sam's Fans are already part of a family, a tribe, willing to do so much to bring joy to the kids who need it the most. So why not bring all those people even closer together? Being part of the Bring the Joy Monthly Giving Program can be your "yes" to a community that believes in the power of music and art therapy. And when communities come together, great things can happen. 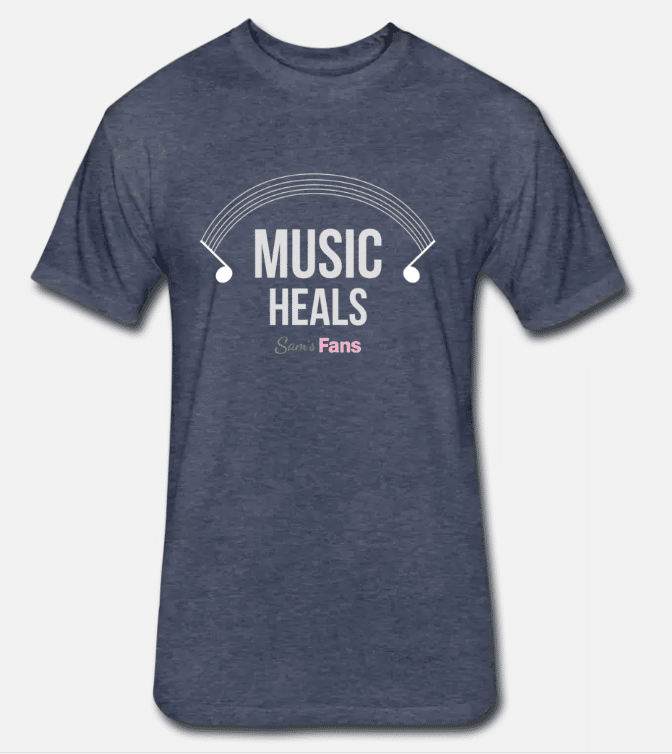 Your monthly donation will help us plan effectively and it will be the fuel of a community determined to bring the joy: to bring music and art therapy to all kids with serious illnesses. We have different levels for the program which you can explore below. A significant percentage of the membership fees goes towards the programs we support. 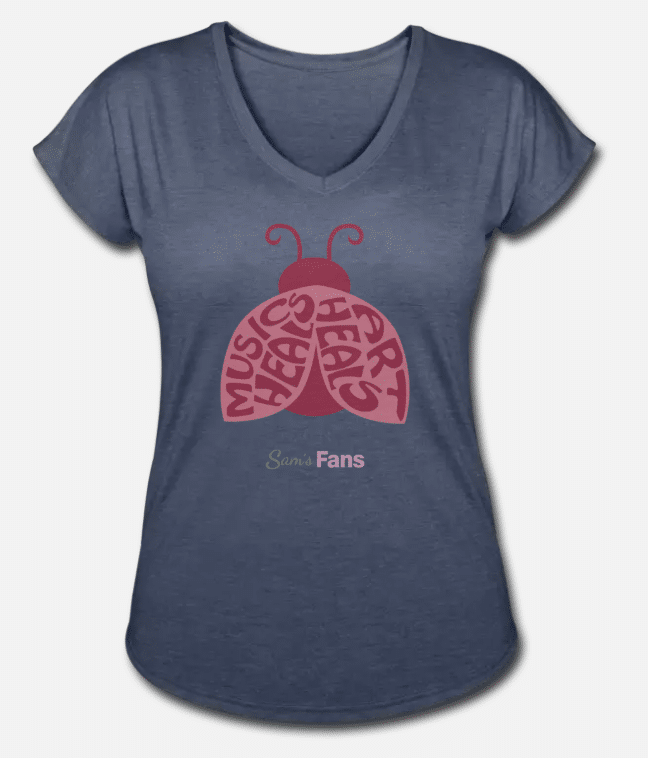 We also want to show our appreciation by giving a T-shirt and access to our events to our monthly donors! Regardless of which level you choose, by becoming part of the Bring the Joy Monthly Giving Program you will support music and art therapy for seriously ill children. Invest with a monthly donation and Bring the Joy to kids with serious illnesses. 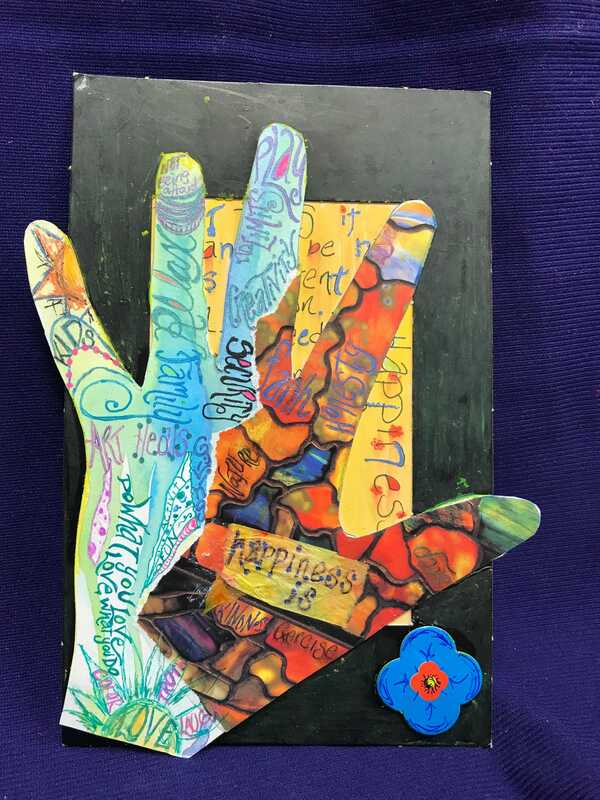 A long term commitment and a direct connection to the impact you are making can be a game changer for music and art therapy in Ohio and the country. To show you the kind of impact your donation would have we put together a 4-part video series. The videos will premiere once a week starting on Sam's birthday, March 15th. We hope they inspire you as much as they inspire us. You can choose any amount under $50. 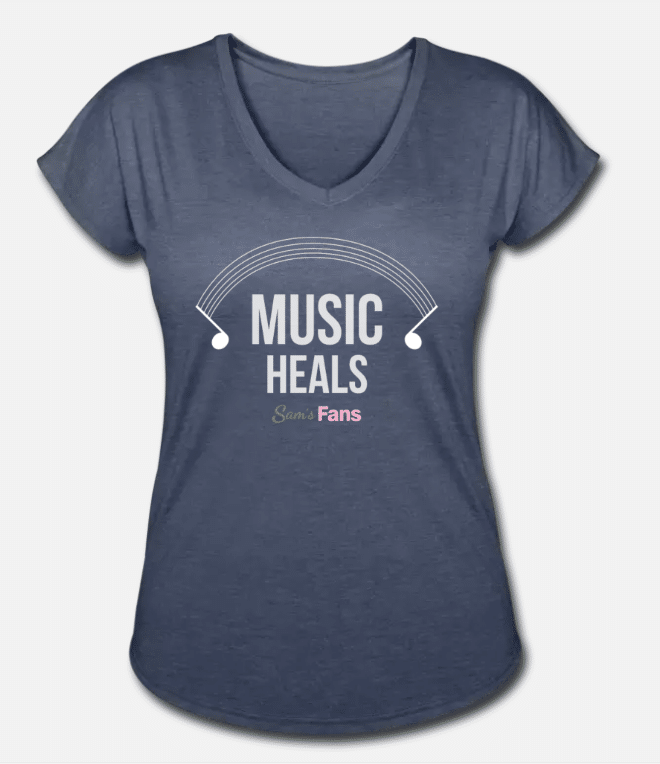 You will get the satisfaction of knowing that you are part of the community and that your donation is making a change, in addition to the member T-shirt and access to exclusive content! Make sure to select the option "Other" underneath and enter the amount you want to donate monthly. Donate ukuleles, guitars, and many other music supplies. Donate crayons, paint, clay, and many other art supplies. Fund music and art therapy programming at our partner hospitals! Hospitals run different programs involving music and art. Your donation will support the equivalent of over 50 hours of therapy. Fund therapist positions in our partner hospitals! A people funder funds over 100 hours of therapy a year. Why should I become a member instead of just making a donation? Becoming a member means becoming a core supporter of Sam's Fans. 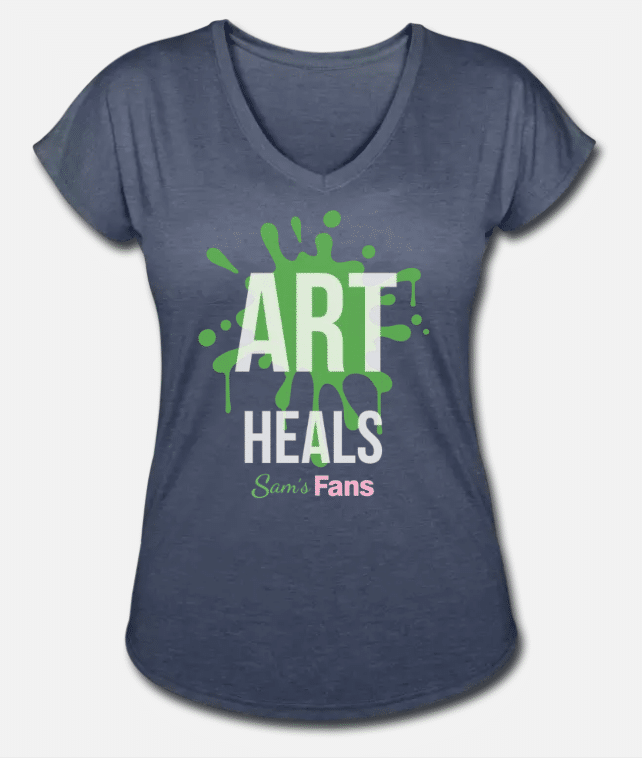 Your gift will ensure that Sam's Fans gets regular funding throughout the year. By signing up to a monthly donation as a member, donating will be automatic and hassle-free. Additionally, you will have access to the member portal, where you can see and edit your personal information and access exclusive content! What options do I have to pay the membership fee? You can pay by becoming a monthly donor. You can use a credit card, but if you prefer to pay via check please get in contact with us. Make sure you check the box below that says "Show my support by making this a monthly donation"! How will I have access to all the Sam's Fans events? After becoming a member we will issue you a special member pass that you will be able to use to access our events. Which T-shirt do I get? You actually get to choose whatever T-shirt you like best. In the sign up process you can choose your T-shirt and size. What is the membership portal and how do I access it? We have built a portal just for members! In the portal, you will be able to see and edit your information, see your donation history, and access exclusive content just for members. In the process of signing up to the program, you will be able to create your account with your unique password. Later on, when you want to sign in, you can find the "Log in" option on the top right corner of our website. What is the difference between the different admission levels to events? People Funders (VIP) get access to the event and extra raffle tickets. Program Funders (Premium) get access to the event. Supplies Funders still need to purchase tickets. People Funders (VIP) get access to the event, including the event T-shirt, and a special memento for the event. Program Funders (Premium) get access to the event and a bag with special post-race goodies. Supplies Funders (General) get access to the event. All three (People, Program, and Supplies) Funders get access to the event at 7 pm, includes light bites provided by Cameron Mitchell Premier Events, open bar, silent auction, live music and a fashion presentation by THREAD. What happens if I want to cancel my membership early? We would hate to see you go, but if for major reasons you need to cancel your membership, we will understand and we hope you can remain involved nonetheless. You just need to send us an email at samsfans.org@gmail.com and we will help you out. You will no longer have access to events after canceling your membership and your member account will be deactivated. It sure is! 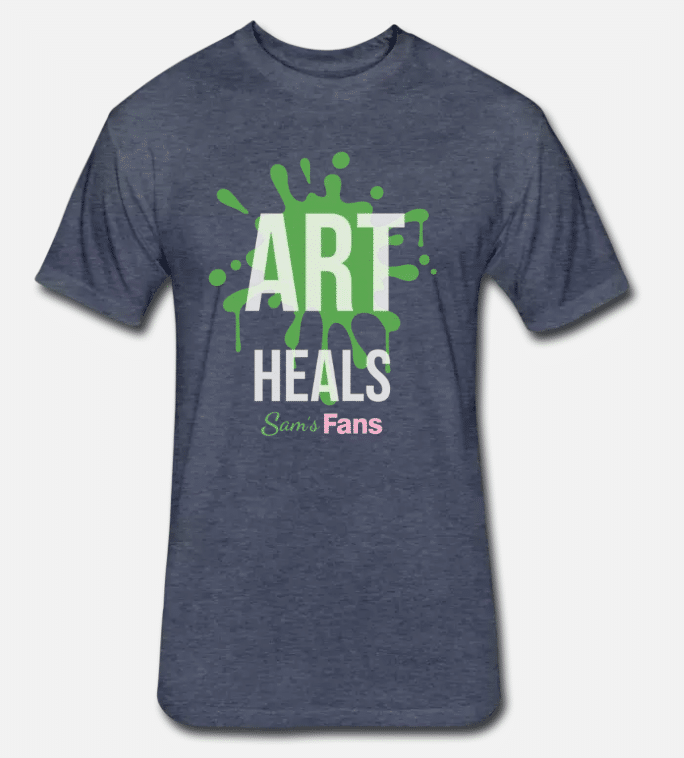 Sam's Fans is a registered 501(c)3 nonprofit. What if I want to sign up with family? At this point the process for membership is geared towards individuals, but we can consider couples signing up with one membership. 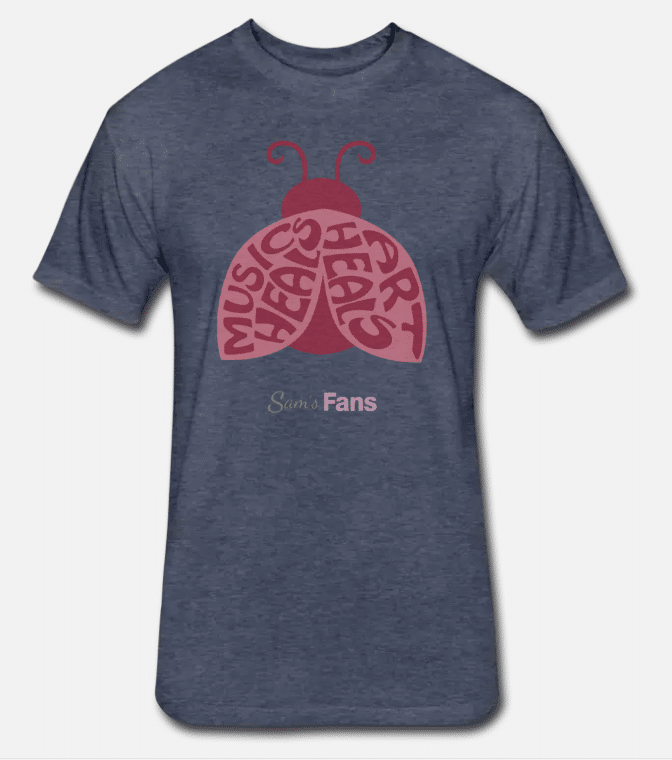 After signing up and creating your member account please send us an email to tell us which additional T-shirt you would like. For events you will get one ticket and you will have to purchase any additional tickets you might need. On the other hand, this might be an opportunity for you to sign up with your family, each one having their own membership, and have a bonding experience!